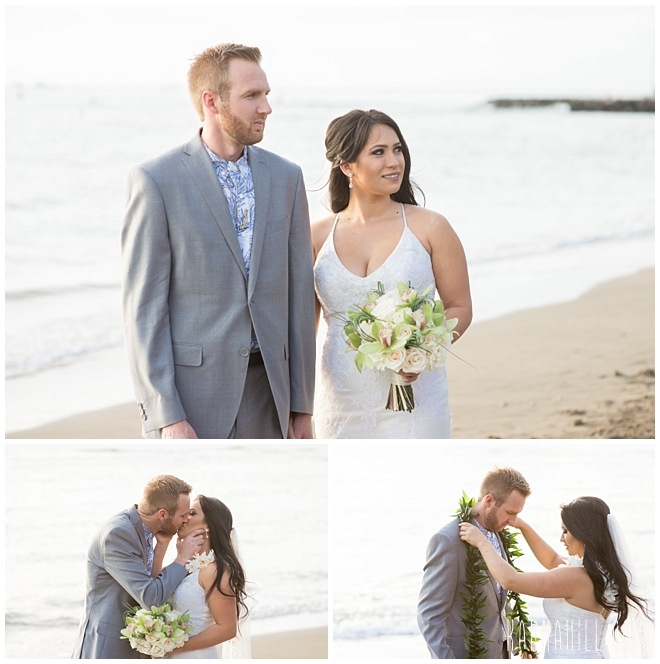 On an evening as beautiful as a dream, Brittany and Kyle pledged their love to one another and became husband and wife. 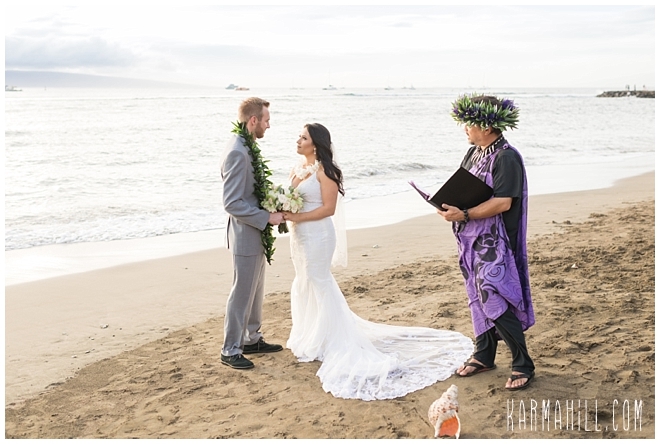 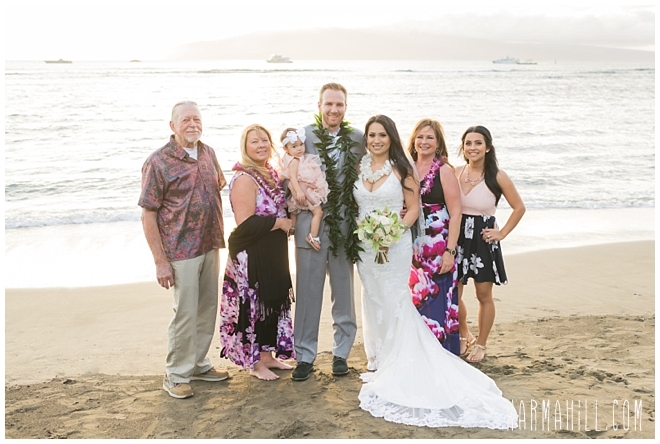 With their daughter and family on hand to witness, their intimate gathering had a setting couples wish for when thinking of a Hawaiian wedding. 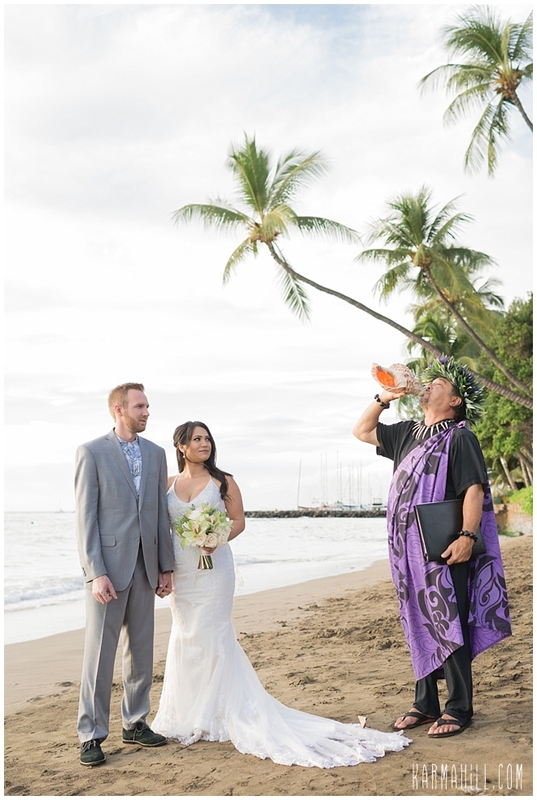 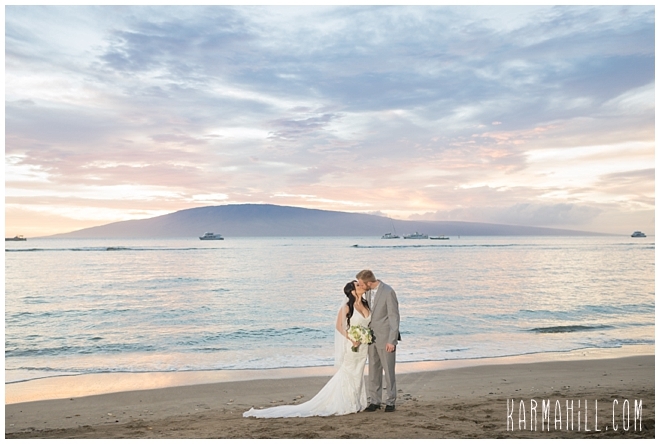 Of course, when they booked their Maui Beach Wedding Package, they had no way of knowing the night would look like this. 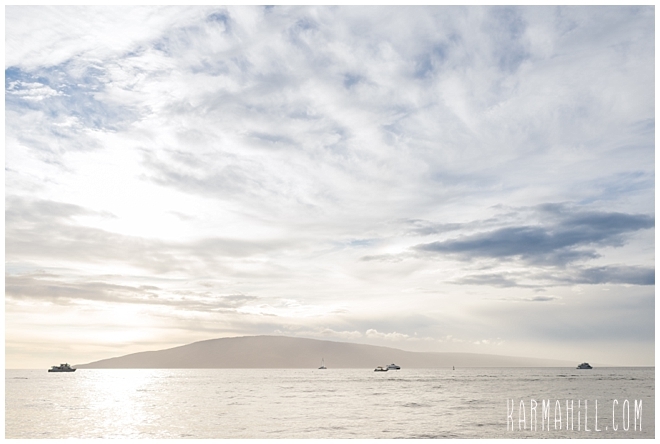 Though we sometimes wish we could, the weather and the sky are two things we can't control. 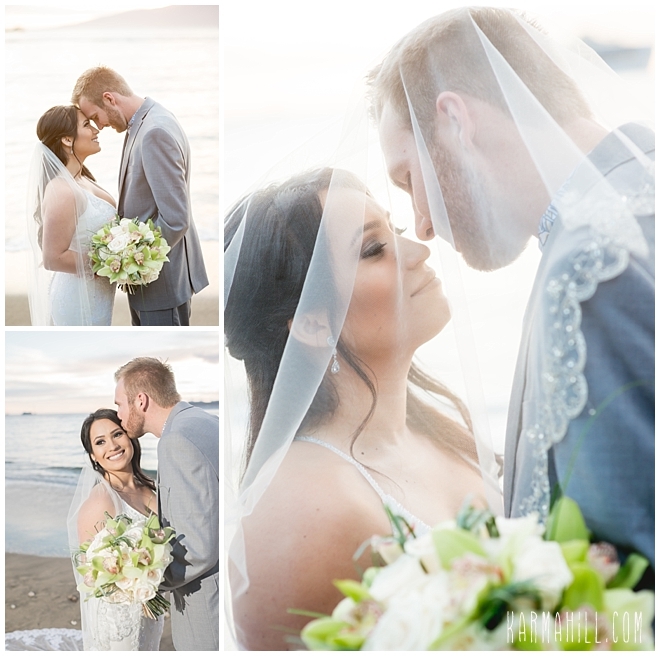 It wasn't needed on this night though, as our gorgeous California couple got exactly what they wanted with the pastel painted sky. 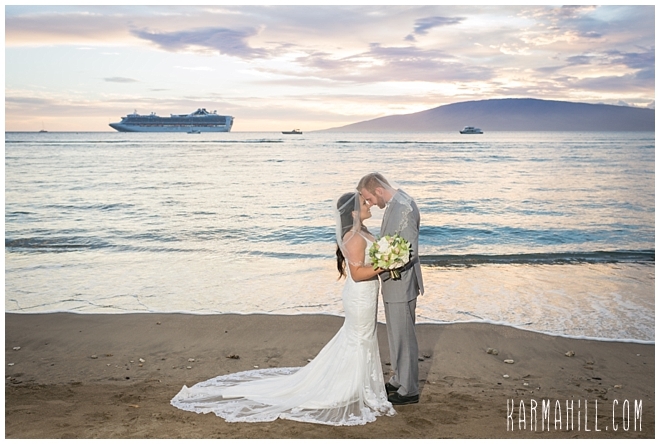 The Lahaina Harbor and visiting cruise ship even added a little extra interest to an already stunning scene. 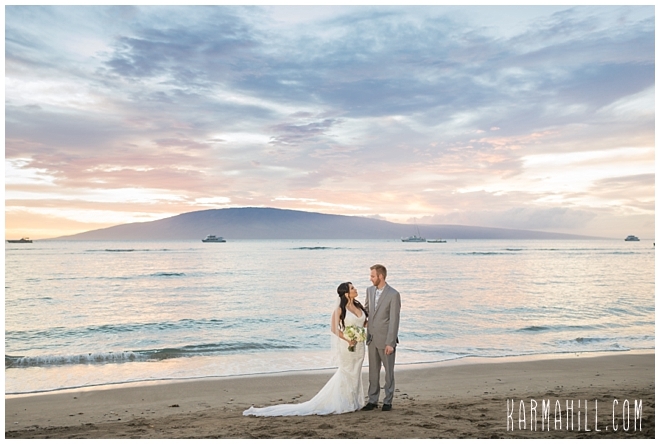 A glorious night for an amazing couple. 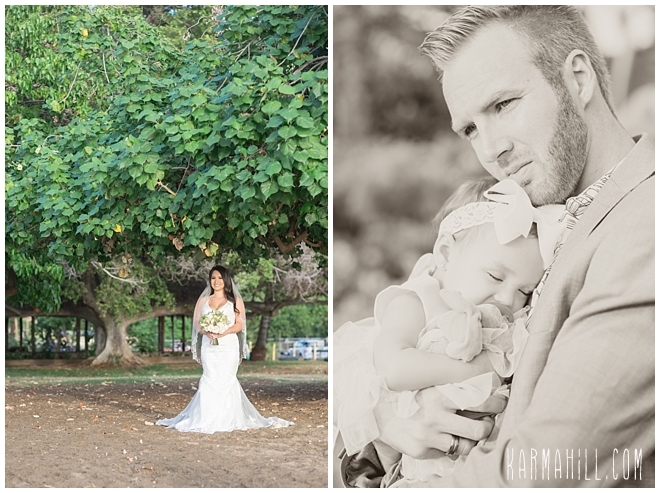 Thank you, Brittany and Kyle, for letting us share in the joy. 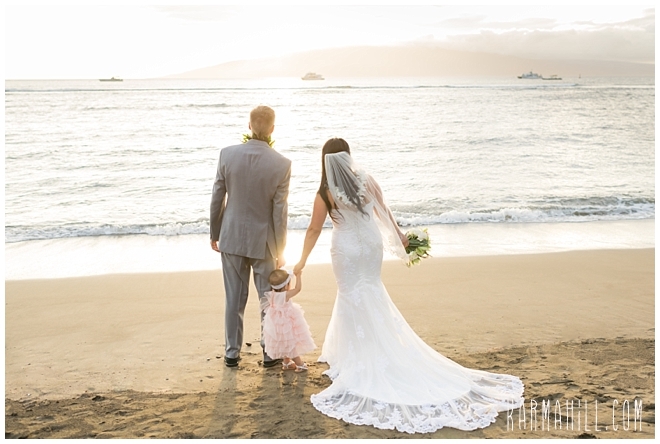 We can't wait to see you all back again down the road. 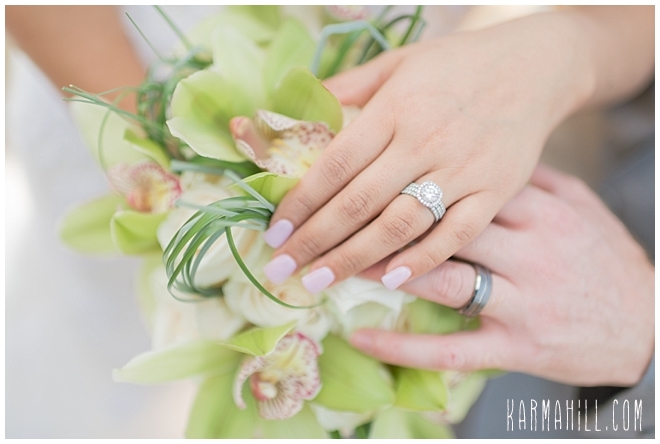 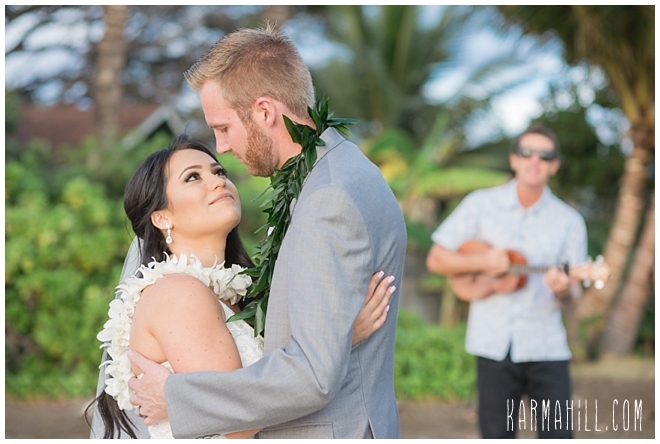 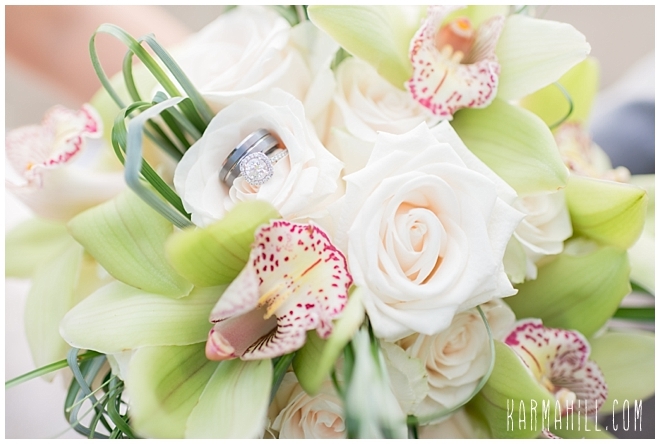 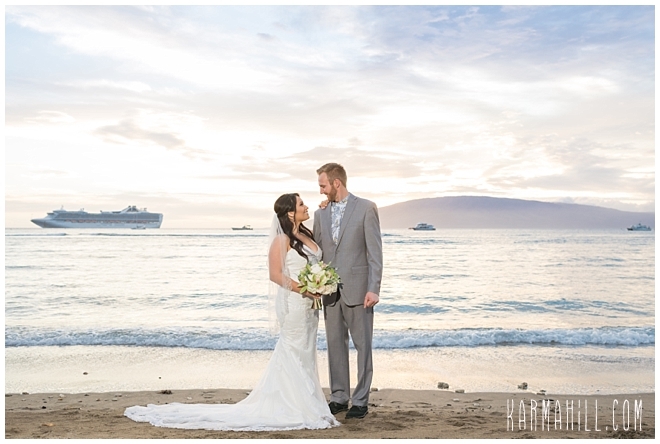 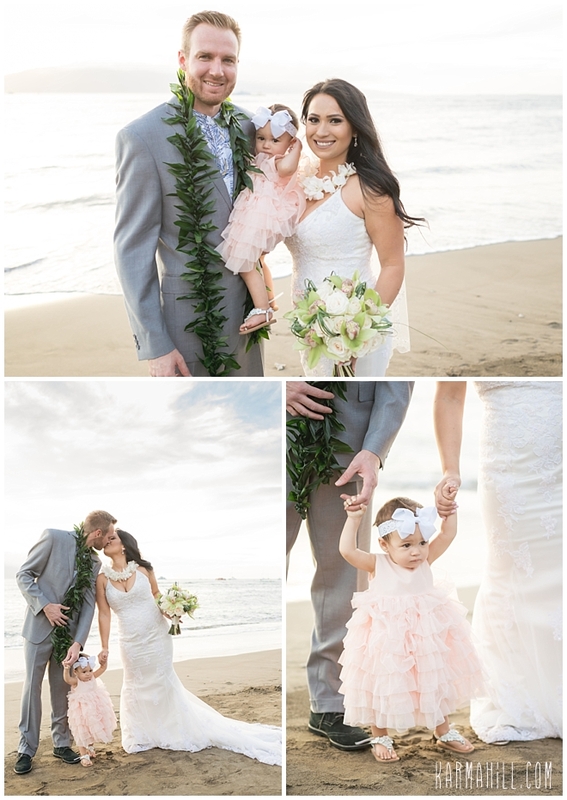 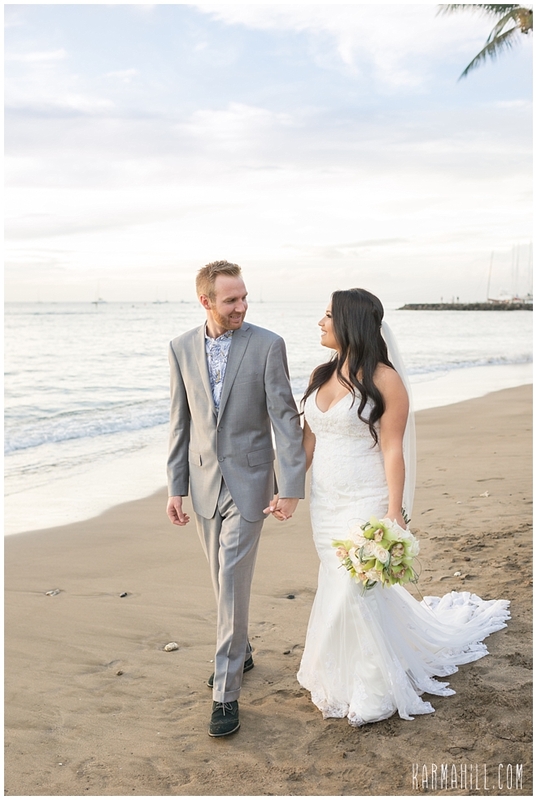 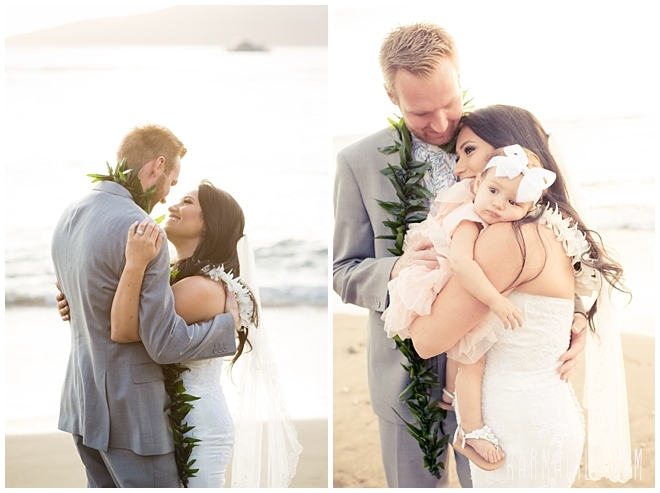 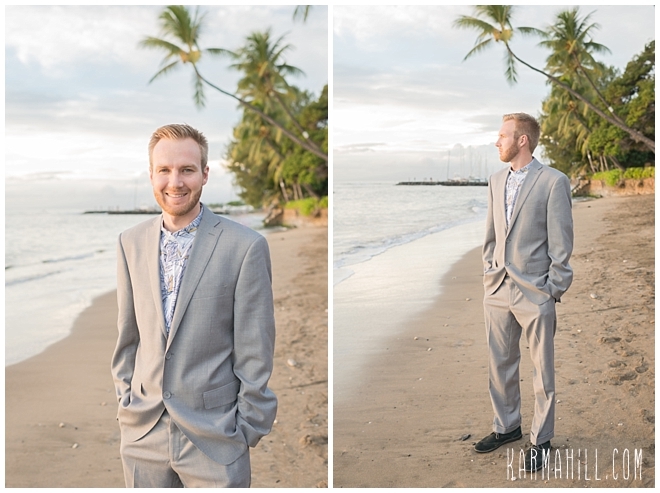 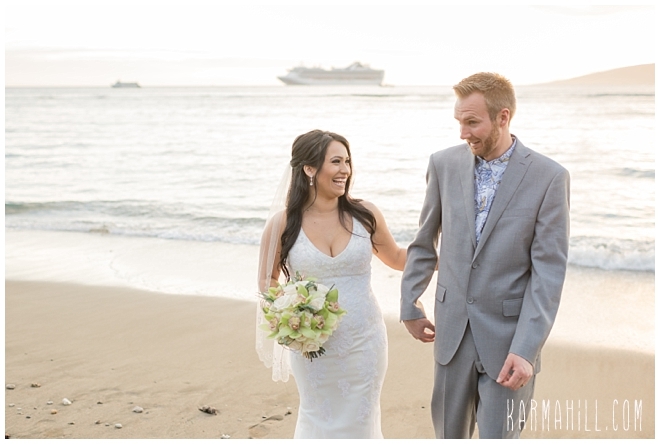 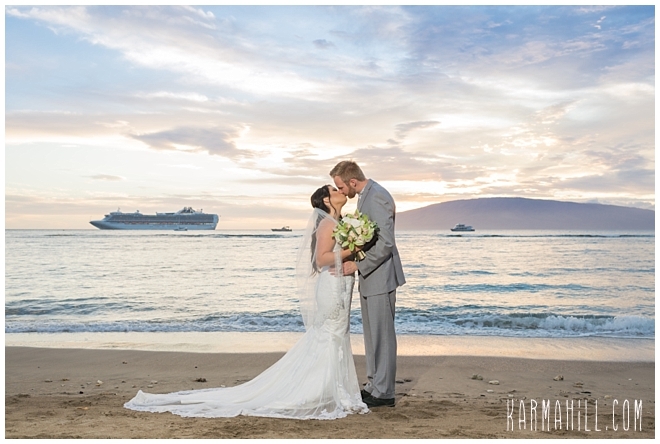 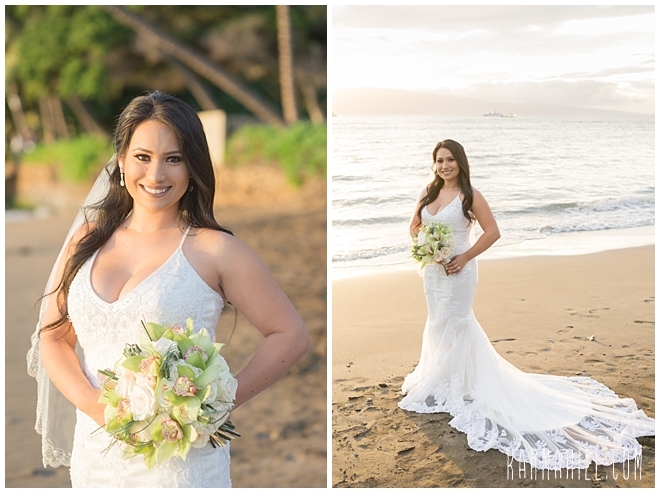 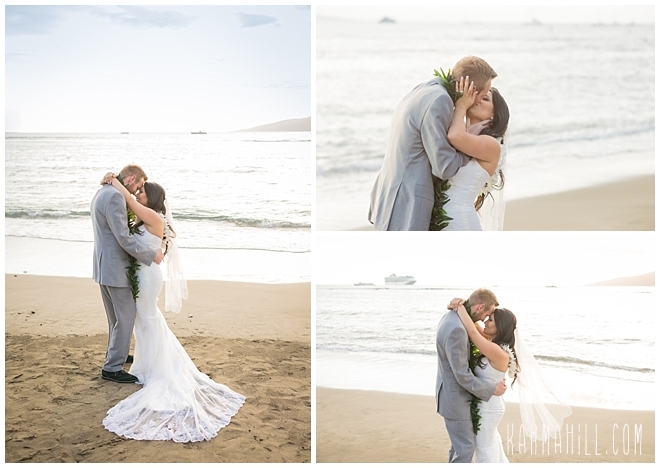 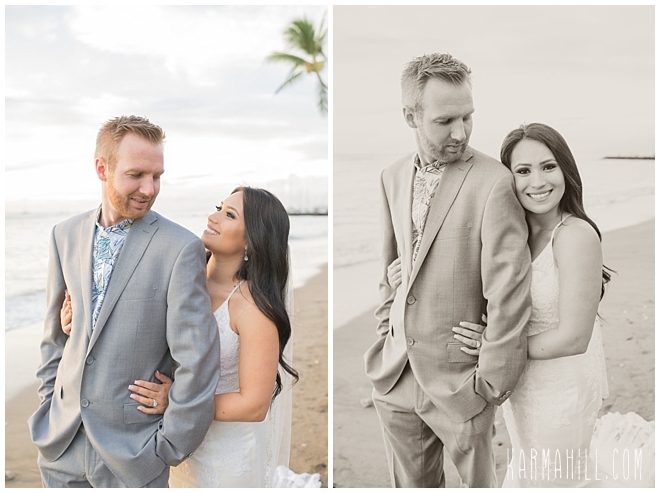 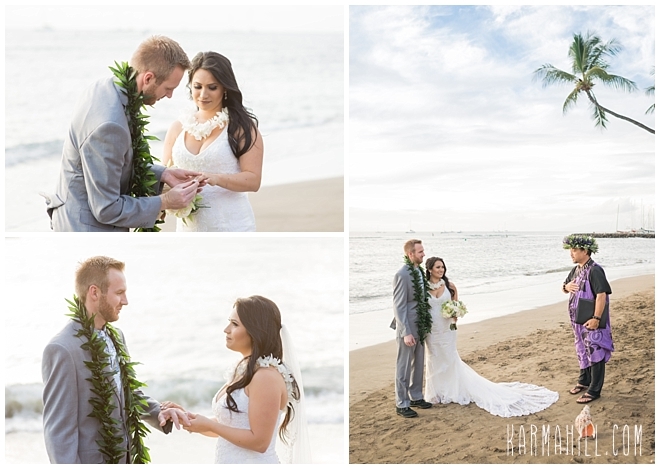 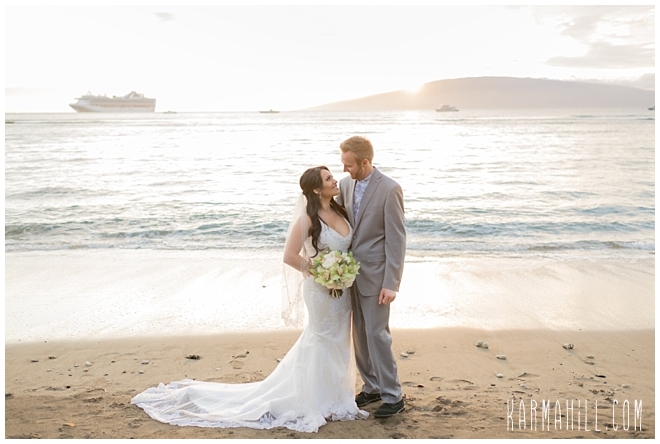 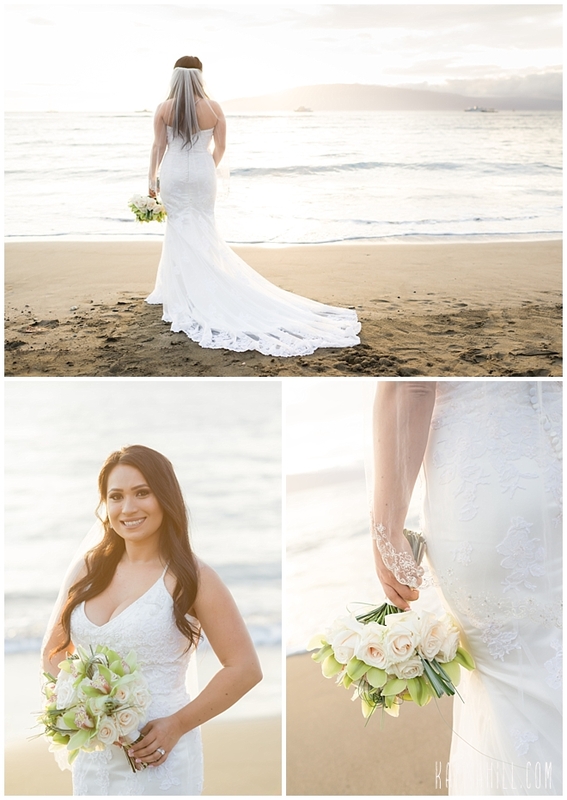 Check out our last Maui wedding with Lauren & Stephen!